The attitude determination and control system (ADCS) is a complex system acquiring the position and orientation of the satellite. Spcemanic has well documented experience with development and in-flight management of magnetometer, gyroscope, sun-sensor and Earth-sensor. A sun sensor is a navigational instrument used by spacecraft to detect the position of the sun. Sun sensors are used for attitude control, solar array pointing, gyroupdating, and fail-safe recovery. The smart micro sun sensor was developed for the attitude determination system for the CubeSats space missions, The sunsensor was designed with an emphasison the smallest possible size,while preserving its precision under <1Deg. 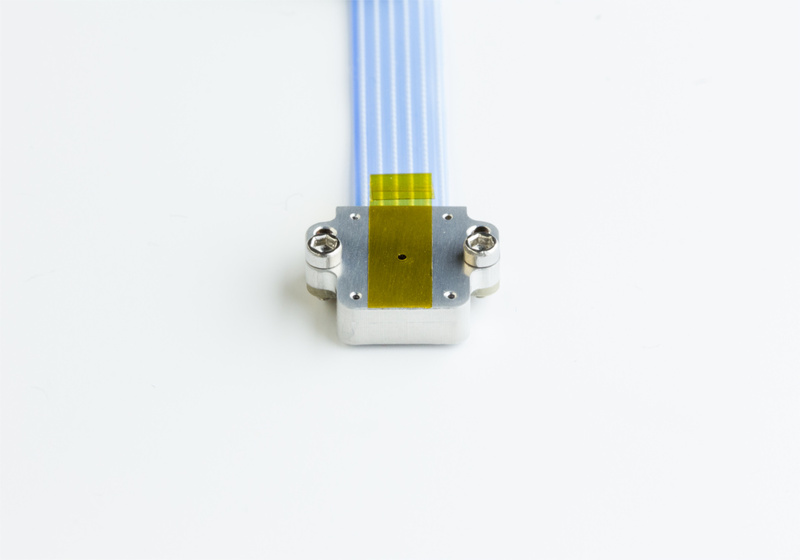 The main advantages of our sunsensors are their ability to work independently of the onboard computer, on top of the sensor’s high precision of attitude determination and small dimensions. All calculations are done by their own small microcontroller and they give the customer calibrated information about the position angles in two axes. The user can then define parameters and corrections for measuring and processing data overtime.Sunsensors are supplied fully qualified for the space environment, including all the necessary environmental tests needed for space-flight ready technologies, such as vibrational and thermo-vacuum tests. Another benefit of the sun sensors is that they are completely nonmagnetic.